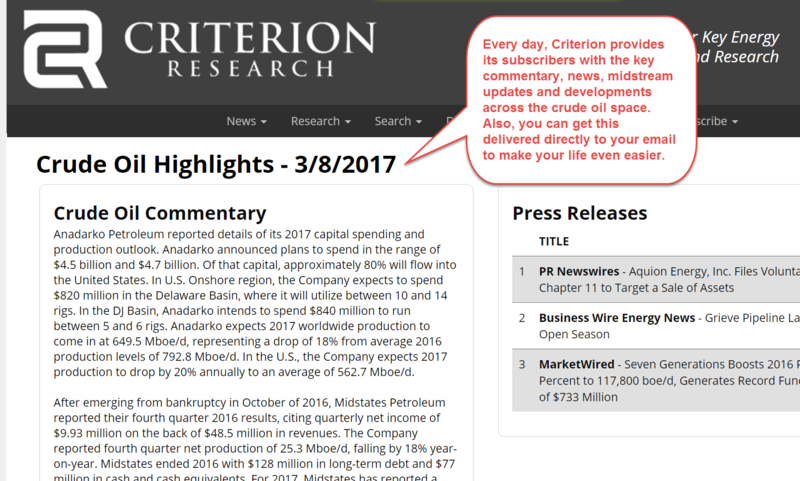 Criterion's daily highlights keep you apprised of all the key developments in the crude oil markets. We cover everything from upstream to downstream developments. Our curated news feed drives the highlights so you can get the right information you need for your business decisions.